My addiction with Julep is growing. 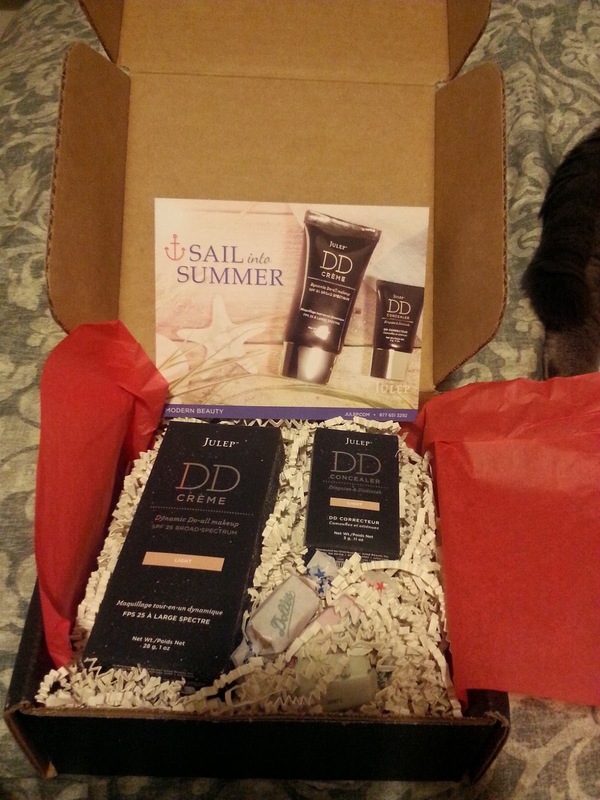 Since my last post I've not only decided to buy a Maven box for June, but shortly after purchased a great deal of items from the Secret Store (post to follow). I didn't love the polish colors offered in the Bombshell box, but I was very intrigued by the idea of a DD crème. This DD crème is considered a dynamic do-all crème, going beyond a BB crème. Being the first of it's kind and wanting to stay on top of the latest technology, I decided to try it out for myself. All the Maven boxes included the DD crème, but I chose the Modern Beauty box because it also included another DD product instead of polish. 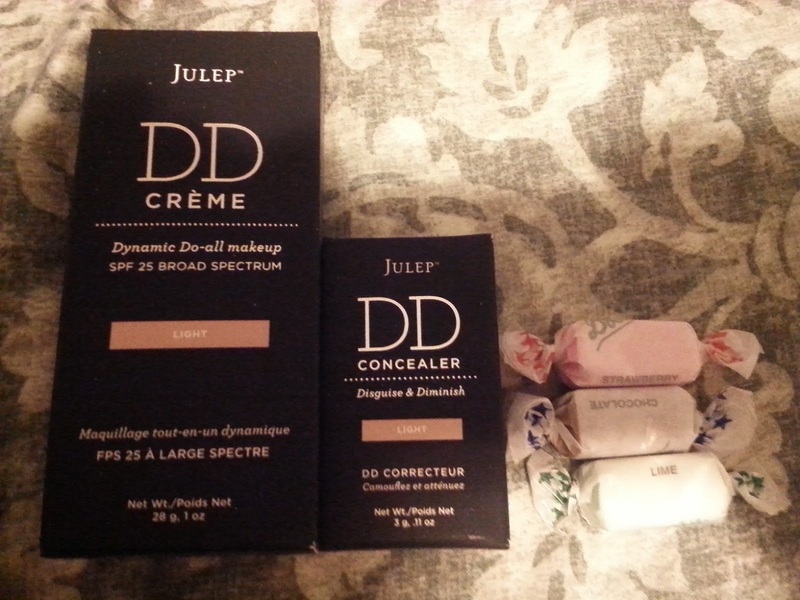 The box included a DD Crème and DD Concealer, along with a few pieces of candy. I have not tested the products as of yet, but will give my opinion of them once I do. 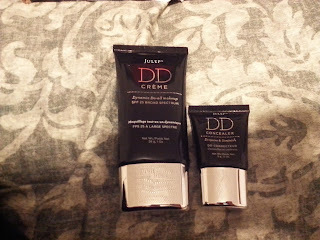 I will say that I really like the packaging of the DD crème and concealer though. Julep also had a Double Duty Makeup Brush offered as one of their add-ons this month. I was tempted to purchase it because the brush was made to go with the DD crème and concealer and it would be convenient to have a 2-in-1 portable brush to take to the gym. However, since I already own 3 brush sets in addition to some other make up brushes, I ended up declining and avoided any add-ons this month! However, when it came time for the Secret Store, I went crazy buying up more Julep goods before I've even tried my newest box contents. Once I receive my order, I'll share with you what I got from the Secret Store! !